NOTE: I wrote this post a few months ago. I forgot to schedule it. Oops. Better late than never, right? Recent outstanding trade books whose text and illustrations are particularly suited to the interests and developmental characteristics of children between three and six years of age. Fiction and non-fiction as well as wordless books are considered. Books that are enjoyable for reading aloud and have appeal to a wide range of families. 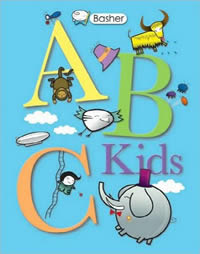 ABC Kids. Written and illustrated by Simon Basher. Kingfisher, 2011. Using creative alliteration, his signature Manga-style artwork, and his eye for clever design, Simon Basher brings a fresh approach to reimagining the alphabet. Each spread brings a new letter, a new friend, and some hilariously imaginative action. From Arthur, whose angry ant ate apples, to Maude whose mean monkey makes marvelous milkshakes, to Vera who vacuums vegetables, and Zak who zaps zeppelins, each page of this book begs to be turned to see what's coming next. Blackout. 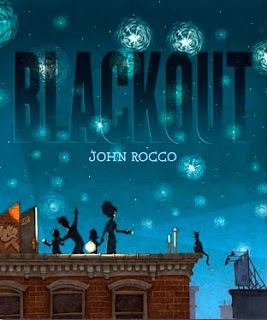 Written and illustrated by John Rocco. Hyperion, 2011. Bring on the Birds. 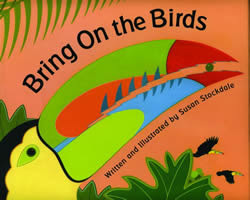 Written and illustrated by Susan Stockdale. Peachtree Publishers, 2011. Do You Know Which Ones Will Grow? 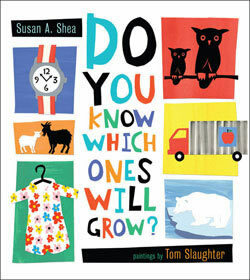 Written by Susan A. Shea. Illustrated by Tom Slaughter. Big Apple Books, 2011. 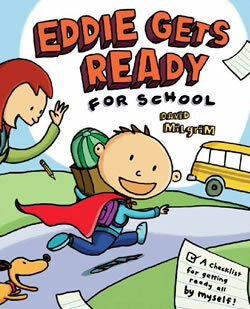 Eddie Gets Ready for School. Written and illustrated by David Milgrim. Cartwheel Books, 2011. *run like mad to catch bus! on time, and in a great mood. 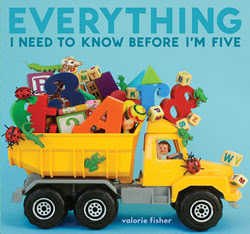 Everything I Need to Know Before I'm Five. By Valorie Fisher. Random House, 2011. I Spy With My Little Eye. Written and illustrated by Edward Gibbs. Candlewick Press, 2011. 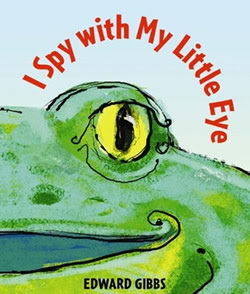 Look through this eye-catching book’s special spy hole to discover a world of animal colors! I Want My Hat Back. 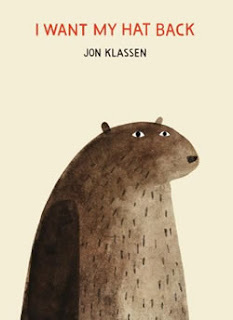 Written and illustrated by Jon Klassen. Candlewick Press, 2011. 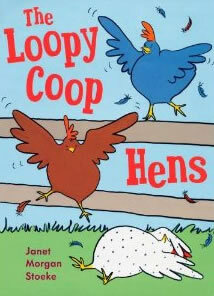 The Loopy Coop Hens. Written and illustrated by Janet Morgan Stoeke. Penguin, 2011. Melvin and the Boy. 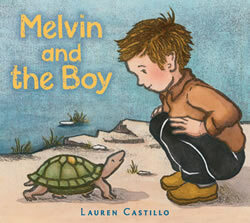 Written and illustrated by Lauren Castillo. Henry Holt and Company, 2011. 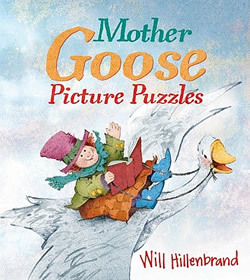 Mother Goose Picture Puzzles. By Will Hillenbrand. 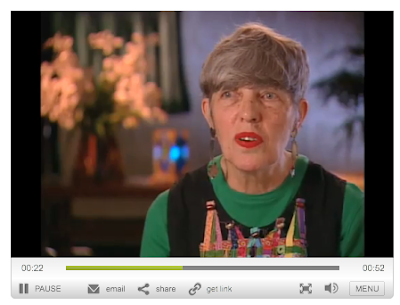 Marshall Cavendish, 2011. RRRalph. 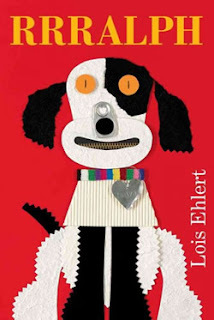 Written and illustrated by Lois Ehlert. Simon and Schuster, 2011. The Twins' Blanket. Written and illustrated by Hyewon Yum. Frances Foster Books, 2011. 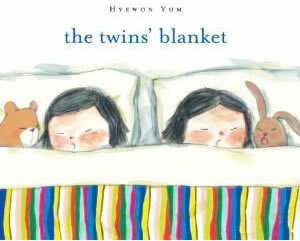 Told from the perspective of two five-year-olds, The Twins’ Blanket playfully illuminates squabbles and affection between young siblings. Yum’s minimalistic art astutely captures these twins’ emotions as they toss, turn, and tug their new and old blankets—and embrace their growing independence. Yes, I have a great Christmas list format daughter and nieces. Can't wait to cuddle up in front of the tree with some of these books.